Blacksmith And Metal Workers Insurance Colorado. As a blacksmith and metal worker, your work is extremely important and very rewarding; but, you're also exposed to a lot of risks. To protect yourself from potential perils, having the right type of insurance coverage is key to protecting your business, your staff, your clients, and your personal assets. Why is insurance so important for blacksmiths and iron workers? 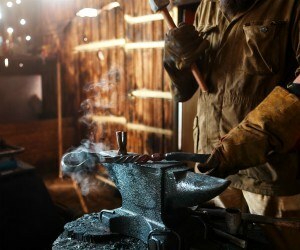 What type of blacksmith and metal workers insurance Colorado do you need? How much coverage should you have? Below, you'll find the answers to these questions so that you can safeguard yourself from the risks that are associated with your business. Blacksmith and metal workers insurance Colorado protects your contracting business from lawsuits with rates as low as $77/mo. Get a fast quote and your certificate of insurance now. As a CO blacksmith, the very nature of your job can be dangerous. You work with heavy equipment and you are exposed to conditions that can be very hazardous. You are also responsible for making sure that the work you are contracted for is done properly. However, if you have the right type of blacksmith and metal workers insurance Colorado coverage, your provider would cover these expenses. In other words, insurance can make these types of incidents little more than a nuisance. These are just some of the types of insurance that CO iron and steel workers need to have. To find out exactly what type of insurance you need and how much coverage you should carry, speak to an insurance professional. 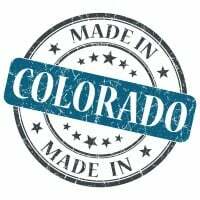 Request a free Blacksmith And Metal Workers Insurance Colorado quote in Akron, Alamosa, Arvada, Aspen, Ault, Aurora, Avon, Basalt, Bayfield, Bennett, Berthoud, Boulder, Breckenridge, Brighton, Broomfield, Brush, Buena Vista, Burlington, Carbondale, Castle Pines North, Castle Rock, Cañon City, Cedaredge, Centennial, Center, Cherry Hills Village, Colorado Springs, Columbine Valley, Commerce City, Cortez, Craig, Crested Butte, Cripple Creek, Dacono, Del Norte, Delta, Denver, Durango, Eagle, Eaton, Edgewater, Elizabeth, Englewood, Erie, Estes Park, Evans, Federal Heights, Firestone, Florence, Fort Collins, Fort Lupton, Fort Morgan, Fountain, Fowler, Fraser, Frederick, Frisco, Fruita, Georgetown, Gilcrest, Glendale, Glenwood Springs, Golden, Granby, Grand Junction, Greeley, Greenwood Village, Gunnison, Gypsum, Hayden, Holyoke, Hudson, Idaho Springs, Johnstown, Julesburg, Keenesburg, Kersey, Kremmling, La Junta, La Salle, Lafayette, Lakewood, Lamar, Las Animas, Leadville, Limon, Littleton, Lochbuie, Lone Tree, Longmont, Louisville, Loveland, Lyons, Mancos, Manitou Springs, Mead, Meeker, Milliken, Minturn, Monte Vista, Montrose, Monument, Mountain Village, Nederland, New Castle, Northglenn, Olathe, Orchard City, Ordway, Ouray, Pagosa Springs, Palisade, Palmer Lake, Paonia, Parachute, Parker, Platteville, Pueblo, Rangely, Rifle, Rocky Ford, Salida, Severance, Sheridan, Silt, Silverthorne, Snowmass Village, Springfield, Steamboat Springs, Sterling, Superior, Telluride, Thornton, Trinidad, Vail, Walsenburg, Wellington, Westminster, Wheat Ridge, Windsor, Woodland Park, Wray, Yuma and all other cities in CO - The Centennial State.